Shares of the Chinese e-commerce giant have more than doubled this year. Can its September quarter report keep the good times rolling? With the help of very strong March and June quarter earnings reports, Alibaba Group Holdings Ltd. (BABA - Get Report) is up about 110% on the year going into its September quarter report, which is due on the morning of Nov. 2. That spells a high bar, particularly for the company's core Chinese online marketplaces. Alibaba's June quarter sales beat was fueled by a 57% annual increase in its "China commerce retail" revenue, which stems from its mainstay Taobao and Tmall marketplaces. That represented a big increase from the March quarter's 41% growth and also easily outpaced the 22% gross merchandise volume (GMV) growth Alibaba saw for its Chinese marketplaces in fiscal 2017 (it ended in March). This growth has much to do with Alibaba's Google/Facebook-like success at monetizing mobile traffic, especially via ads sold to Taobao/Tmall merchants and to a lesser extent Tmall commissions. Mobile devices produced 80% of Alibaba's Chinese retail commerce revenue in fiscal 2017, and as of June 30, the company's 12-month mobile revenue per monthly active user (MAU) was up 40% annually to RMB196 ($29.70). Keeping that momentum going is crucial to meeting the high expectations markets now have for Alibaba. On average, analysts expect Alibaba's China Commerce revenue, which also includes sales to wholesalers, to be up 63% in the September quarter to $5.98 billion. Though it has slowed over the last couple of years, Alibaba is still seeing substantial Chinese active user growth as the country's smartphone and e-commerce penetration rates continue rising. Tabao/Tmall's annual active consumers grew by 12 million sequentially in the June quarter to 466 million, and their mobile MAUs (including people who didn't shop) grew by 22 million to 529 million. Both of those metrics, it should be noted, saw better sequential growth than they did during Alibaba's June 2016 quarter. Doing that again in the September quarter might be easier for active consumers, which only rose by 5 million sequentially last year, than for mobile MAUs, which rose by 23 million. Alibaba's overseas e-commerce efforts have been a mixed bag to date. In many markets, the company has been more successful winning over wholesalers looking to buy from Chinese suppliers than at battling the likes of Amazon.com Inc. (AMZN - Get Report) and eBay Inc. (EBAY - Get Report) for consumers. But following a pair of $1 billion investments in top Southeast Asian online marketplace Lazada that give it an 83% stake in the company, Alibaba's international footprint is now pretty substantial. Alibaba is expected to see its total "International Commerce" revenue rise 57% annually in the September quarter to $643 million. 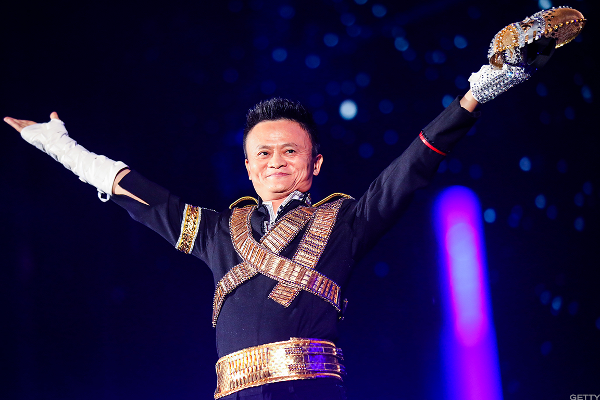 Any earnings call commentary about its Alibaba's overseas investment plans will get attention. Though it still only accounted for 4% of the company's June quarter sales, Alibaba's "Cloud computing" revenue, which largely stems from its AliCloud platform, grew 96% annually to $359 million. Paid customers grew by 75% to 1.01 million. Competition is intensifying, as Baidu Inc. (BIDU - Get Report) , Tencent, Amazon and Microsoft Corp. (MSFT - Get Report) all invest in rival Chinese public cloud platforms. Nonetheless, with AliCloud maintaining a top position in a burgeoning Chinese cloud infrastructure (IaaS) market, analysts see Alibaba's cloud revenue rising 96% in the September quarter to $422 million. A big contributor to Alibaba's large June quarter EPS beat: The company's adjusted costs and expenses amounted to 65% of revenue, down from 73% a year earlier. Though rising in absolute terms, cost of revenue, sales/marketing spend, R&D spend and G&A spend all fell as a percentage of revenue. In addition, stock compensation expenses fell to 2% of revenue from 3%. Can Alibaba keep this trend going as it keeps making big investments in growth initiatives? Among other things, the company has been spending heavily on AliCloud, its Youku Tudou online video platform and its Koubei local commerce JV. It also recently took control of its giant Cainiao logistics JV and has begun opening supermarkets in big Chinese cities. Such investments are a key reason why analysts on average see Alibaba's EPS dropping 11% sequentially in the September quarter, even though revenue is expected to rise 6%. Annually, EPS is still expected to rise 37%, but that's below expected revenue growth of 59%.